Udi Taub was born in Bnei Brak, Israel, in 1962. He studied graphic design at the Bezalel Academy of Art and Design and has his own graphic design studio. He has published books for children and for adults. 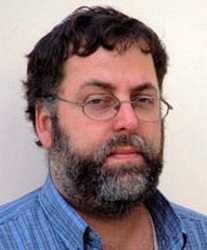 Taub was awarded the Ze'ev Prize for his y/a book, Herman (1992).